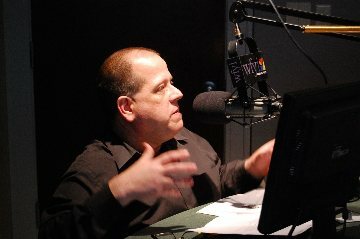 Jeremy (Anthony Scanish) is in a relationship with Betty (Kristin Teporelli), though the relationship is strained owing to Jeremy's distracted obsession with Suzanna (Melissa Damas). Suzanna, the wife of mutual friend Mark (Erik Searle), doesn't really return Jeremy's affection but that doesn't stop Jeremy from his ever increasing and intrusive fantasies that complicate marriage, daily life and the friendship between the couples. 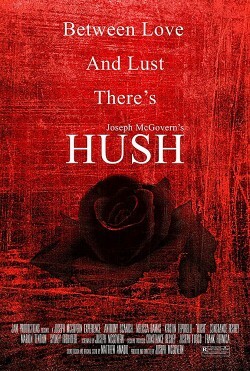 Accompanied by Matthew Amadio's synth-tinged original score that enhances the 11-minute films sense of anxiety and anticipation, Hush is a film that relies entirely on writer/director Joseph McGovern's vision and Joseph DuVilla's top notch lensing to build a sense of dread as Jeremy's obsession intensifies and his actions, largely devoid of spoken word, begin to spiral out of control. Hush has already picked up prizes at the Atlantic City Cinefest and Freedom Shorts and continues on its indie fest run. With the absence of dialogue for Hush, part of the intrigue of the viewing experience is discerning one's own interpretation of the story that's unfolding. Is there already some secret relationship that's unfolded or is unfolding? Is there more that ties these couples together than we really know? You'll find yourself having opinions, but one of the strong points of Hush is that McGovern really doesn't reveal his hand and even the film's end leaves room for open interpretation. The film's ensemble cast is strong across the board, their body language conveying both normalcy and rising tension with equal conviction. While the film's simple story begins to wear just a tad thin by film's end, Hush is the latest promising short from the up-and-coming McGovern and it'll be interesting to see where he goes from here.